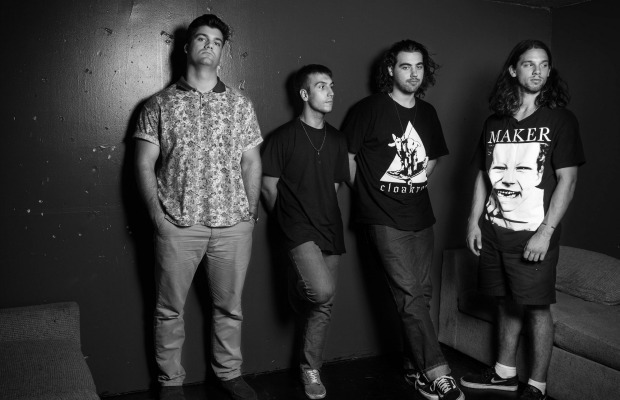 Turnover will release their new EP, Blue Dream, on August 26, and you can now stream it in full via Alt Press. The EP’s three songs pack a pretty powerful emotional punch, in that dark, dejected, cathartic way that’s typical of bands like Brand New and Balance and Composure. The band has definitely refined their sound since their debut album, Magnolia, as this short collection of songs sounds a bit more polished and varied in terms of composition and musicianship. While the majority of songs on Magnolia have the same grungy, downcast emo/pop punk vibe and tend to almost blend into each other, the tracks on Blue Dream take more risks, explore different dynamics and compel the listener to stay present and engaged throughout the entire emotionally searing experience; from the sparse opening notes of “Disintegration” to the point when the drums and electric guitar kick in to bring the sad acoustic ballad, “Bella Donna,” to a brokenhearted, but still somewhat hopeful, finale. You can stream “Blue Dream” here and pre-order it from Dog Knights Productions.